'Engineers' connote - men!!! Science and Technology have been considered "man's" domain, especially for women in Pakistan. Well, that's what is thought but not true any more. As long ago as the early '60s. Pakistan had started witnessing entry of females in this arena. Within the segment there are branches like architecture, electrical, mechanical, chemical, aeronautical and so on. The basic education required is B.E. 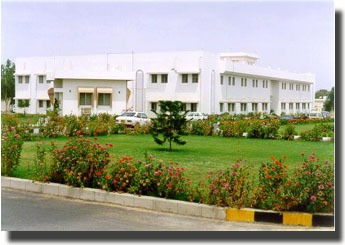 for which there are several high caliber colleges and universities in Pakistan. Entry into these institutions is absolutely on merit and women have to compete at par with the men. Thereafter, the young graduates desiring further education proceed abroad. The field requires a keen sense of judgment for proportion and scale. Envisioning projects and developing them through scientific methodologies give astounding results....and it is more amazing to know that women are accomplishing these so dexterously!!! The most prestigious landmark building of Karachi i.e.the Finance & Trade Centre (FTC) on Shara-e-Faisal has been designed by a female architect. The best of the educational institutions include NED University of Engineering & Technology in Karachi and NCA college in Lahore, through their B.Arch degree program for Architecture.